The government and European Union are exploring avenues of partnering in the "New Deal for Engagement in Fragile States". This was revealed by the Somaliland ministry of foreign affairs in a press statement which also informed that the foreign minister Mohamed Behi Yonis, upon invitation of the European Union is en-route to Nairobi for follow up of earlier discussions with EU Special Envoy to Somalia/Somaliland, H.E. Ambassador Michele Cervone d'Urso. “Foreign Minister Mohamed Yonis visits Kenya to discuss the New Deal with donor countries Hon. 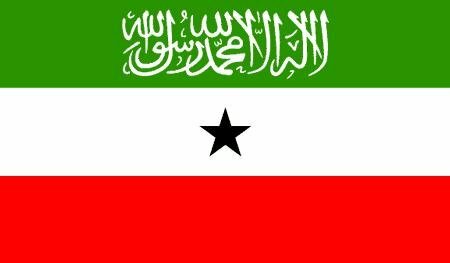 Mohamed Behi Yonis, Minister of Foreign Affairs and International Cooperation of the Republic of Somaliland, travels to Kenya today on his first official visit since taking office on 27 July 2013. The Foreign Minister leaves for Nairobi at the invitation of the European Union Special Envoy to Somalia, H.E. Ambassador Michele Cervone d'Urso, to continue discussions over a possible partnership between Somaliland and donor countries based on the principles of the "New Deal for Engagement in Fragile States." The Foreign Minister will also hold meetings with the UN Resident Coordinators Office, EU member states and other donor governments. His discussions with the donor counterparts will center on the more effective use of aid in addressing Somaliland's core development needs, with emphasis placed on promoting ownership and accountability. The New Deal for Engagement in Fragile States was formulated by the International Dialogue on Peace Building and State Building (IDPS) and presented at the Fourth High Level Forum on Aid Effectiveness in Busan in December 2011 where it was endorsenew deald by the EU along with 36 countries, including 18 fragile countries, and 6 international institutions. 3. The TRUST principles. It sets a framework that builds mutual trust and strong partnerships between countries and their international partners. The New Deal is however more than a framework; it should be viewed as a new approach towards fragile situations and it should be applied in a customized way, depending on the country context. The EU will notably help countries in situations of fragility to establish functioning and accountable institutions that deliver basic services and support poverty reduction. Our new budget support policy should help us in doing this; particularly through using the new state-building contracts in fragile situations and to support democratic transition. The EU has undertaken the programming of its development cooperation for the period 2014-2020 in more than 130 countries in the world including the 10 New Deal pilot countries, the countries of the International Dialogue, and other countries that are on the path of becoming resilient. In our programming we will implement the principles of the New Deal and the principles of engagement in fragile countries. We are also preparing a new EU Results Framework for our development programmes. In this context we intend to include elements of the peace-building and state-building indicators framework developed by the g7+. We very much value the work undertaken to date.